I was 8 years old the Halloween my brother shot me in a fight over my cat. As I hopped off to the bathroom to die in the bathtub, thinking it would be easier for my Mom to clean up, he followed behind me apologizing and telling me he didn’t mean to do it. That was the very last time words were ever passed between us about the shooting. We went into shock together, but thankfully my sister was home and knew what to do. That was the first of what would be many miracles that happened that day. Living through it is the miracle that I cherish the most — me living through it, my brother living through it and my family living through it. All of those miracles were not a given the moment my teenaged brother, who was not thinking straight because of a flash of anger, went to another room, got a gun that was improperly stored, lifted it in anger, pointed it hastily and pulled the trigger. What I have come to realize is accidents don’t happen with guns. Guns have one purpose: to kill. So, if you pick one up and handle it carelessly and it does exactly what it is designed to do, there is no accident. Extraordinary measures were taken to keep me alive. I slept through most of it. I woke days later to hear the story of my shooting, the story that would be repeated over and over, the one my brother and I knew was not true. The story was that my brother was playing with a gun that he didn’t know was loaded and it accidentally went off, striking me. So, to the world, my shooting was playing and accidental, something we can all have a good laugh about, shrug our shoulders and move on from. Playing is fun, right? Accidents are not worthy of our scrutiny because no one is at fault. Accidents can't be prevented. No one ever asked me what my version of the story was and I didn’t offer it. That story most likely held us together as a family and for that I will be forever thankful. The story did have consequences, though. I think about myself as a child, going off to bed every night, never able to sleep very well, always afraid someone was going to kill me. My parents would repeat over and over, “No one is going to kill you, Lizzy. Why would you think that?” Maybe because every night I had to go to bed knowing the person sleeping in the room next to mine had tried to kill me, but we never spoke those words. During the day I could live the story but at night, when your brain leaves you open to truths, I could not keep faithful to the story. So I stayed awake, holding vigil. I held vigil for 22 years until I couldn’t do it any longer. I gave my version of the shooting, at age 30, to my family. The healing began, and it continues today. The accident has been recategorized as a terrible thing that happened, still with very little fault. What I have come to realize is accidents don’t happen with guns. Guns have one purpose: to kill. So, if you pick one up and handle it carelessly and it does exactly what it is designed to do, there is no accident. 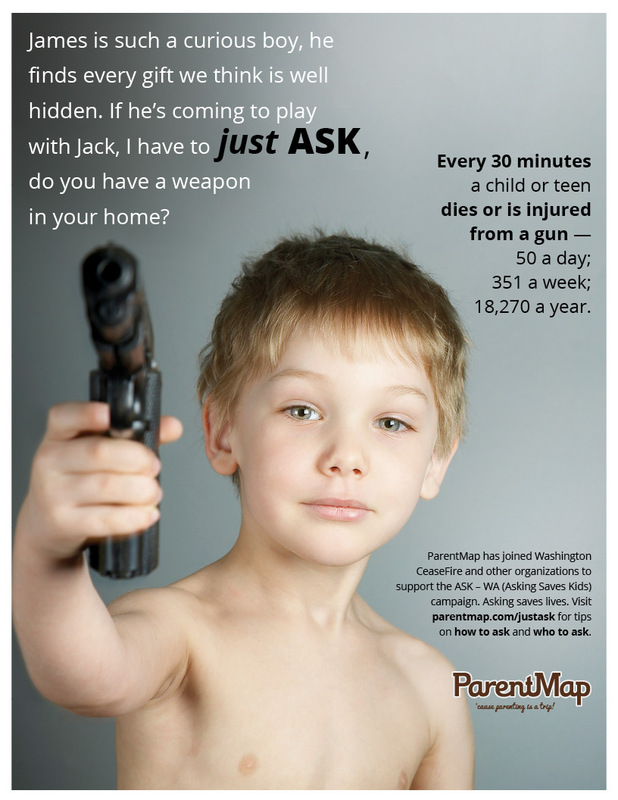 If you are an adult who leaves a gun unsecured and a child picks it up and shoots himself or someone else, that is not an accident. You are at fault. Next time you hear a news anchor say that “a child was accidentally shot today...” know there are no accidents. There is a story which that child and family will have to live, but that story is no accident. ASK stands for Asking Saves Kids, a campaign to spread awareness around gun danger, arm parents with information to keep kids safe, and push for safe gun storage. 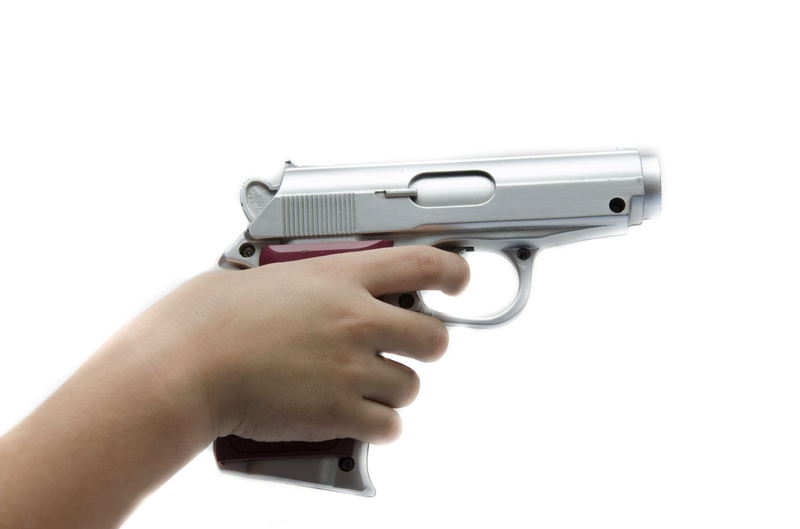 The Be SMART campaign was created to bring together all responsible adults to reduce the number of unintentional shootings that occur when children get ahold of an unsecured firearm. Promoting the safety of our communities through increasing safe storage of firearms. King County staffs the LOK-IT-UP initiative as part of their Gun Violence Prevention Initiative. The Center for Gun Responsibility is dedicated to making a lasting impact on reducing gun violence in Washington State and across the nation. Liz Hjelmseth is a gun violence survivor who hopes to change minds by sharing her stories. You can hear her stories weekly on her Soundcloud podcast, The Hamster Wheel.